The Friday night action in the Euroleague takes the 2014/15 campaign to the end of the 4th round and as you would expect, the groups are starting to take shape. There are no real surprises at the top of the table but you can expect the battle to progress alongside the leaders to start getting more frantic as the games go by. It is interesting to note that every group has a team with a 4-0 record. In Group A, Real Madrid lead the way while in Group B, CSKA Moscow hold a perfect record so far. 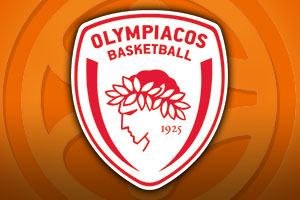 In Group C, Catalan giants Barcelona are out in front while in Group D, Olympiacos Piraeus are the team to beat. All of the teams bar one have at least one victory in the campaign, with Dinamo Sassari from Group A being the only team sitting with a 0-4 record. The Turkish side turned on a dominant performance at home, moving them to a 2-2 record while their opponents were moved down to a 1-3 record in Group B. Galatasaray took an early lead and held it for the rest of the game, with Sinan Guler offering up 18 points for the victors. He was supported by Carlos Arroyo who offered up 15 points, 5 assists and 5 rebounds. With Kerem Gonlum grabbing 10 and Furkan Aldemir and Zoran Erceg both offering up 13 points, there were plenty of players on good form for the Turkish side. Their opponents only had two players reaching double figures and even at that, Deividas Galius and Martynas Girdziunas could only offer up 10 points each. In the game between two Spanish sides, it was Valencia who picked up their first win in Group D with a solid home win on Friday night. Luke Harangody was the top performer for Valencia, boosting his side with 21 points. He was assisted by Sam Van Rossom, who managed to serve up 14 points while Bojan Dubljevic picked up 13 points. Pau Ribas also broke the double digit mark with 11 points for Valencia. Key players for Vitoria were Toko Shengelia, who picked up 20 points and Thomas Heurtel, who offered up 11 points. The away side got off to a flying start but a strong comeback in the second quarter saw Valencia narrowly ahead by half-time. Valencia took control in the third quarter and were in no danger of relinquishing their lead as the game ran out. This was a tight away win in Belgrade but it ensured that Olympiacos hung onto their unbeaten start to the season. It looked as though it was going to be a comfortable win, at the start of the fourth quarter the visitors held a 14 point lead, but there was a rally from Belgrade and there was genuine hope that there could be a home win. This hope was extinguished when Vassilis Spanoulis, the player who received the October MVP, managed to sink 3 free throws in the final 20.1 seconds of this encounter. This saw the player reach 14 points in the game and the away side were boosted by Bryan Dunston, who helped himself to 11 points. There was also support provided by the youngster Dimitrios Agravanis, who offered 2 blocks, 9 rebounds and 8 points. The home side looked to Boban Marjanovic to keep them in the game, and he delivered with 13 points and 14 rebounds. There were also double figure returns from Nikola Kalinic and Jaka Blazic, who both served up 10 points. Panathinaikos secured a straightforward win against their lacklustre opponents and it helped them home side to strengthen their group on second place in Group B. Esteban Bastia delivered 15 points for the home side while Nikos Pappas and AJ Slaughter both offered up 11 points. All round support was provided by Dimitris Diamantidis, who offered two steals, eight assists, seven rebounds and six points for the winners. Milan now have a 1-3 record even though Samardo Samuels offered 18 points and Joe Ragland picked up 13 points. There was 11 points from Marshon Brooks and 9 points from Daniel Hackett but of most concern will be the fact that Alessandro Gentile never got himself on the score board. The German side grabbed their first Euroleague win this season by shutting down Limoges with a performance that utilised their strong defensive shape and knowledge. The win ensured that Alba were celebrating their biggest Euroleague win for more than 5 years. Niels Giffey offered up 18 points as did Jamel McLean. Alex Renfroe was able to provide 15 points, Leon Radosevic provided 12 points and Cliff Hammonds offered up 11 points. Alba also managed to grab 22 assists on a night when everything clicked for them. The same cannot be said for Limoges although Jamar Smith offered 17 points and Ramel Curry provided 13 points. On the whole though, it was a night to forget for the visitors. Coming into this match, both teams had a 3-0 record, so something had to give and it was the home team that triumphed to go clear at the top in Group B. As you would expect, Milos Teodosic was at the heart of everything that CSKA provided, and he grabbed 27 points and offered up 10 assists. It was a game that the home side controlled from the first quarter and had a 14 point lead at the break. The closest Malaga came was with getting the lead back to three points but this just inspired Teodosic to fire off some triples and the Moscow lead was returned to a large gap. Sonny Weems picked up 16 points, as did Vitaly Fridzon while Kyle Hines can be happy with 14 points and 3 blocks in the game. For Malaga, Jayson Granger provided 20 points, as did Mindaugas Kuzminskas.